Welcome to my NYR Organic review, a direct selling channel that is part of Neal's Yard Remedies, a well-known UK based company. If you are into organic and environmentally-friendly made products and sustainable living, then the NYR Organic product range might be of interest to you. 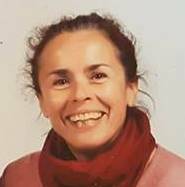 NYR Organic offers a direct selling business for women who are looking for flexible working hours, who can identify with a range that is ethically produced, and want to build a 'work from home' business. My review will show you if it is worth your time to become a part of this company. I will not only talk about the joining process but also about the compensation plan and if you can make money with NYR Organic. As briefly mentioned before, NYR Organic is the direct selling channel for Neal's Yard Remedies which is a company that was founded in 1981 in the UK. NYR organic sells a wide range of skincare products for women, men, and even babies. Its trademark sign is the blue bottle which is 100% recycable and keeps the products safe from harmful UV rays. Neal's Yard Remedie was founded by Romy Fraser, a natural health advocate, in Dorset in the UK. In 2006, the Kindersley family bought the company, which is by the way the first certified natural health and beauty company in the UK. It is also the first UK retailer of certified organic essential oils. Neal's Yard Remedie has 'brick and mortar' stores in the UK, Japan, and Dubai. In 2009, they launched NYR Organics as direct selling business opportunity in the UK, Ireland, and the US. Head of NYR Organic is Denise Bonner. NYR Organic has a wide range of mainly skincare products for both men and women, for babies, a range of essential oils, and books. The NYRO's logo represents the companies belief that outer beauty and inner health should be in balance. This philosophy reflects in these high-quality products that come in the NYRO well-known blue bottles and jars. The most popular but also most expensive product is the award-winning Frankincense Intense Range. Otherwise, for all the other products I found the prices quite reasonable considering most of them are organic and only contain natural ingredients. The joining process is simple. You'll only need to fill in a form online and pay $149 (plus $16.95 for tax and shipping) to receive your starter kit. I must say, I am actually impressed with what you get for your money. Considering the prices of these products, that is amazing value for money. For an additional $50, you can also add essentials for the aromatherapy set which is valued at $199. With the $149 joining fee, you'll get a website plus 25% off on all product purchases. Best of all, to stay active, all you need is a $100 retail order a year. I must say, it was quite tricky to get any information regarding the compensation plan. There is no PDF available online with the compensation plan, only a couple of YouTube videos where I eventually found out a bit more. The same goes with an income disclosure. Nothing available! This is something I always criticise. This kind of information is essential for people who are looking to earn a decent side income of even a full-time income. Well, for now, we just have a look at the NYR Organic compensation plan. Right off the bat, on every retail or online sale, you'll earn a 25% commission. If you are wanting to grow your team, you can get a level bonus. These are the requirements to get a 5% level 1 bonus. To maintain your rank, you have to meet the above requirements every single month. The next ranks are: Team Leader, Ambassador, and Senior Ambassador. I may have missed a rank but that is all I picked up from the video. I haven't found any details about the requirements to climb up the higher ranks. The chart above gives you probably a clue. Yes, selling NYR Organic is based on the party plan business. The chart shows you hw much in credit a hostess can get based on the sales volume. NYR calls it a workshop or an event but it really is a party. It doesn't matter what name you give it. You have to find people who are willing to host a party, and invite friends so they can try the products. With skincare products and essential oils, it makes a lot of sense to sell the products via parties. You will have to deal with party cancellations, postponements, not many guests turning up, low sales etc. Doing a party plan business requires a lot of work, e.g. lots of phone calls, hostess coaching, dealing with refunds, and traveling to the events. Another way of selling is via your personal website but it means that people need to know about your site. Read further down, how you can stand out from the crowd. 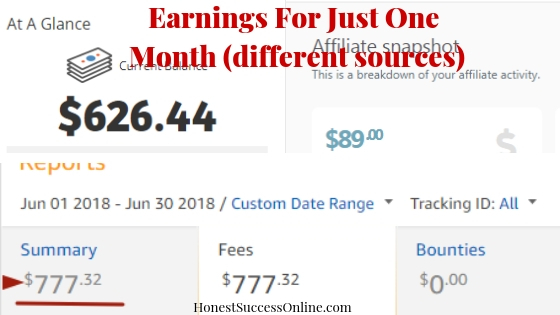 The joining fee is reasonable with $149 considering the amount of products and business tools you are getting; not to forget the personalized website. No monthly additional ongoing costs. To remain active you only need retail sales of $100 a year. The products are of high-quality and reasonably priced. A simple commission structure with a generous 25% payout. Neal's Yard Remedies are a well-known company in the UK and has received numerous awards. The information regarding the compensation plan is very limited. There is no income disclosure so it is not sure what the income potential is. The selling is focused on the party plan model which is time consuming and can be very frustrating when you have to deal with cancellations and postponements. So, is NYR Organic worth your time? Should you get started with this direct selling business? There is a lot to like about NYR Organic. The products are of high-quality, and are sourced and produced ethically and sustainably. The value for money you are getting with $149 starter kit is pretty impressive, and you could actually just join for your personal use. I assume, lots of people do join NYR Organic for the starter kit and the 25% discount you would get on your personal purchases. It is hard to say if there is lots of money to be made with the direct selling part of this business. If you are from Ireland and the UK, you need to consider that Neal's Yard Remedies sells a lot via its 'brick and mortar' stores which are very popular by the way. So it may be much harder to build up your work-from-home 'business' in these countries. 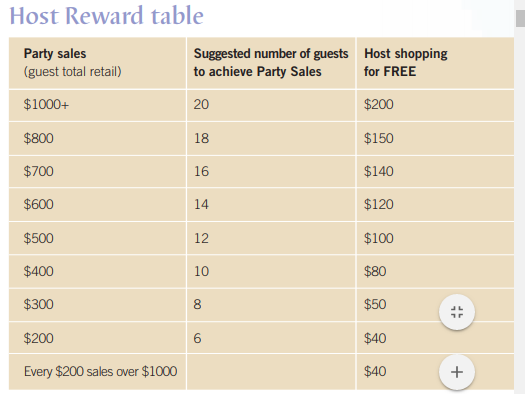 The incentives for people to host a party or workshop are pretty good but as I mentioned before it can be very challenging to convince people to hold parties. Everyone seems to be so busy, and even if you get lots of party bookings, it doesn't mean that you are actually getting lots of sales. The competition in the skincare market is pretty fierce with similar companies like Ever Skincare, or Arbonne. Here is what I would recommend to earn decent money with NYR Organic, and I am not talking about doing parties. There is a way to sell NYR Organic without doing lots of parties and, as a matter of fact, any other products you'd like to promote and actually make money with it. Home parties are a bit outdated as I outlined before but there is a way that could help you to generate more leads and more sales with the NYR Organic opportunity. You probably remember that you'll get a personalized website with NYR ORganic once you sign up? Well, the problem here is that thousands of other consultants get a website as well. The big question is: How will your website stand out from the crowd and will be found by customers interested in the NYR Organic products or the opportunity? That is where my solution comes in. The good thing for you is that not many people know about it so there is your chance to get a huge advantage. No way! I can hear you say. Why would I build a website? What does it have to do with the Neal's Yard Remedies opportunity? Your own blog gives you the opportunity to build trust with your customers, become an authority as a skincare expert if you wanted to and promote the NYR Organic products at the same time. Not only will your own blog give you the chance to connect with your targeted audience (women/moms) but you could also promote other (beauty) products as well and earn money with it. It is called affiliate marketing (read more about here). From your blog/website you can link to your personalized NYR Organic website where people can sign up as a consultant or buy the products. You could also publish videos about the skincare proucts on YouTube and link it to your blog. The possibilities are endless. So if you are keen to learn how to build a blog/website, maybe a 'Mom' blog, a fashion blog, or lifestyle blog, then I recommend to join my #1 training platform Wealthy Affiliate where you learn step-by-step how to build a website and drive targeted traffic and leads to your website. Remember, more leads equals more sales and more team members. Say good-by to good old boring parties and get started with the modern way of social marketing. Here is the best part. You can become a member of Wealthy Affiliate for free to see if you like it. No strings attached, no credit card required. I do hope this post will help you to increase your sales and has shown you that you don't need to rely on just one company. Previous Post Legging Army – Can Selling Leggings Change Your Life?